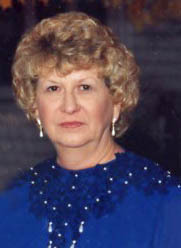 Patricia E. Marcks (nee Nolin) of Lake Orion, passed away surrounded by her loving family on July 4, 2018 at 77 years of age. Patricia is the loving wife of Greg for 57 years; beloved mother of Desiree Stanfield, Michael (Mary) Marcks, and Gregory (Leigh) Marcks; grandmother of Rylee, Finn, Andrew, Kaylee, Austin, and Wyatt. She was preceded in death by siblings, Maurice, Billy J., Betty Nolin, Donna Pender, and Arlene Allen. Pat was a loving and doting wife and mother who took care of the Nolin family genealogy, enjoyed European history, travel, movies, and reading. She attended Central Michigan University Teaching College; was an active band booster for the Lake Orion Marching Band, and an advocate for reading literacy. A funeral service was held Sunday, July 8, 2018 at 3 p.m. at COATS FUNERAL HOME-CLARKSTON. Family received friends Sunday 1 p.m. until time of service. Burial at a later date will be held at Great Lakes National Cemetery, Holly. Family requests donations be made to Orion Twp Library (OrionLibrary.org/donations). To post a condolence, visit www.CoatsFuneralHome.com.